The quintessential mountain cabin perfect for either full time year-round living or as the perfect second home in the Colorado mountains. A pleasant 1.5 hour drive from Colorado Springs or from the west side of Denver. 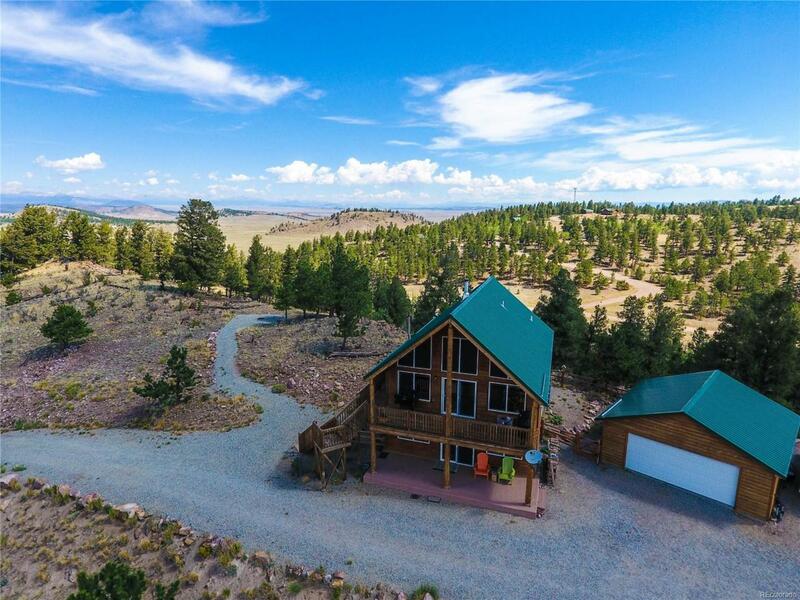 Located in Western Union Ranch (RORA) putting you in the middle of the Rocky Mountains and within easy reach of National Forest land, multiple fishing opportunities, mountain biking & hiking, four wheeling & all the summer or winter sporting activities you can think of. The home is on two levels with a vaulted prow front great room. South facing to maximize solar gain with expansive views of mountains and valleys. There is a wood burning stove in the great room. The kitchen opens to the great room & dining area and has been updated including new cabinets and granite counters. The upper level has a wood deck which wraps around on two sides. The lower level walk out opens onto a concrete patio. There is worry free metal roof and the well pump was replaced in 2017.